So… you’ve booked flights for your Walt Disney World vacation. Your next decision is whether you’ll stay on Disney property or stay off site. If you do decide to stay off site, where should you stay? Kissimmee? Lake Buena Vista? International Drive? When I went to Walt Disney World in September, 2014, I booked a stay at the Holiday Inn Resort Lake Buena Vista. Located on South Apopka and Vineland Avenue, the hotel is just 5 minutes from the back gates to the Walt Disney World Resort. I thought that the location was great – quiet but close to some major amenities. 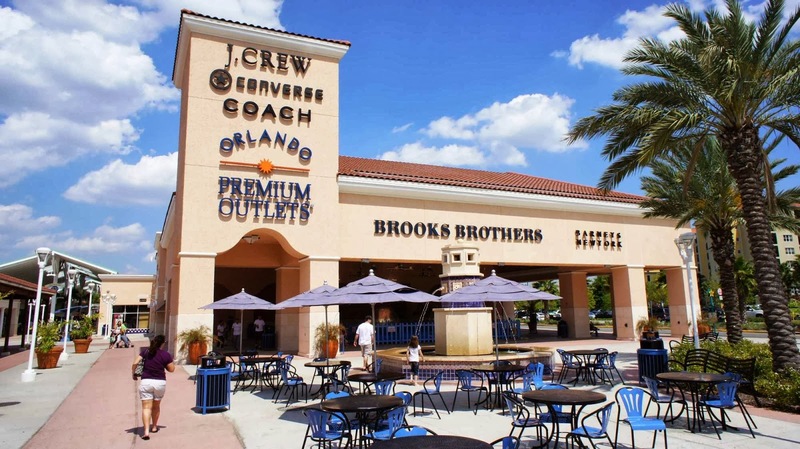 The hotel is behind the Premium Outlets on Vineland Avenue where you can shop at numerous stores such as Guess?, Hugo Boss and Calvin Klein. 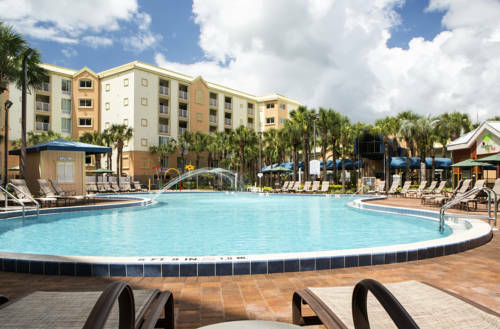 The Holiday Inn Resort Lake Buena Vista is also 5 minutes from Crossroads where there are many different restaurants, stores and attractions to visit. Marble Slab Creamery, Chico’s Crazy Shirts, Fresh Produce, Gooding’s Supermarket, Pirates Cove Adventure Golf and McDonald’s are just a few of those that you’ll find in the Crossroads area. The Holiday Inn Resort Lake Buena Vista is an official Disney Good Neighbor Hotel with easy access to I-4 just off exit 68. The resort has secure parking and also offers valet parking, if you so desire. Upon arrival, we were greeted by a very friendly staff who continued to joke with us on a daily basis and were easy to chat with during our stay. The resort has a large pool which is open late in the evening. The pool area has a fun area for kids and there are a couple of hot tubs for their guests to use. Free towels are also available so there’s no need to use your personal towels. There is an Applebee’s location adjacent to the hotel and I found it to be a great place to relax and unwind after a long day in the parks. Applebee’s offers a little pool bar where snacks and drinks are available throughout the day. We found that the rooms were quite spacious. When you book your accommodations, you’ll have a choice of king or queen-size beds. All rooms have 37-inch HDTV televisions, high-speed Internet, refrigerator, microwave, granite top vanities and upgraded bath amenities. Families love the “KidSuites” which are rooms-within-rooms that allow the kids to enjoy their own space. All rooms are non-smoking and there are pet-friendly rooms too. Wheelchair accessible rooms are available upon request and should be requested prior to your arrival. 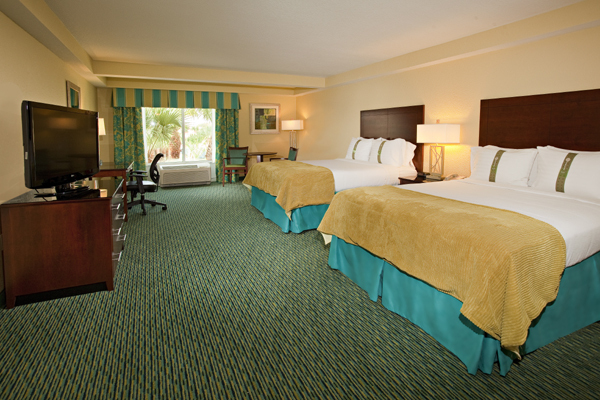 Holiday Inn Resort Lake Buena Vista – Rooms have granite vanities and upgraded bath amenities. Families love the KidSuites. Guests who have had way too much fun during the day and can’t face going back out to get some food will be happy to know that room service is available. Transportation to the Disney Parks is available and each room will have a schedule of bus times and pick up locations. Public transport is also available outside the resort to go to Disney Parks and Universal Studios. If you would like to rent a car, there is a DOLLAR desk next to reception. Cars are stored on-site in a secure lot which requires a pin number to enter. Each guest will have a unique code to access the lot. Trips to other Florida destinations or non-Disney activities can also be booked at the hotel’s front desk. If they do not have what you are looking for, they will give you advice on where to get more information. I recommend this resort as it is affordable yet comfy with plenty of restaurants, souvenir stores, Walgreens and a gas station all within a block. I would definitely stay here again. The staff was amazing and very friendly. Having the Applebee’s attached to the hotel was a convenience that I enjoyed. They also have amazing happy hour offers on drinks and food and on Wednesdays they have a DJ and the atmosphere is electric. But don’t worry – you don’t hear the music from inside the guest rooms. 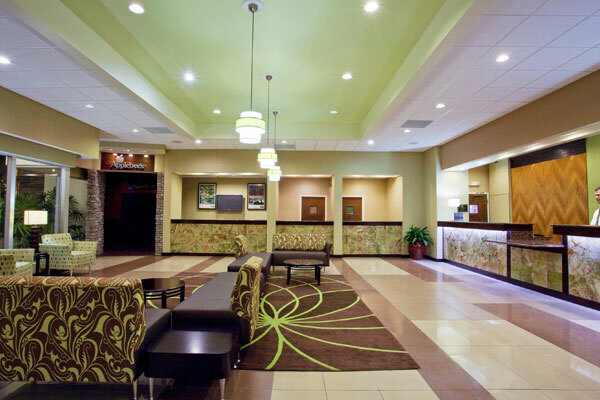 DIStracted Tip- There is also the Holiday Inn Express & Suites Lake Buena Vista East, which is on Hotel Plaza Boulevard and on Disney property. Recap: New Resorts, Attractions, Shops & Restaurants Explode on the Universal Scene in 2016/17! Where in Walt Disney World Can I Find? Everything at Disney’s Port Orleans French Quarter Resort!